Fetch Robotics capped off 2017 with a $25 million Series B, bringing its total up to $48 million. It’s clear that investors are taken with the San Jose-based automation company. 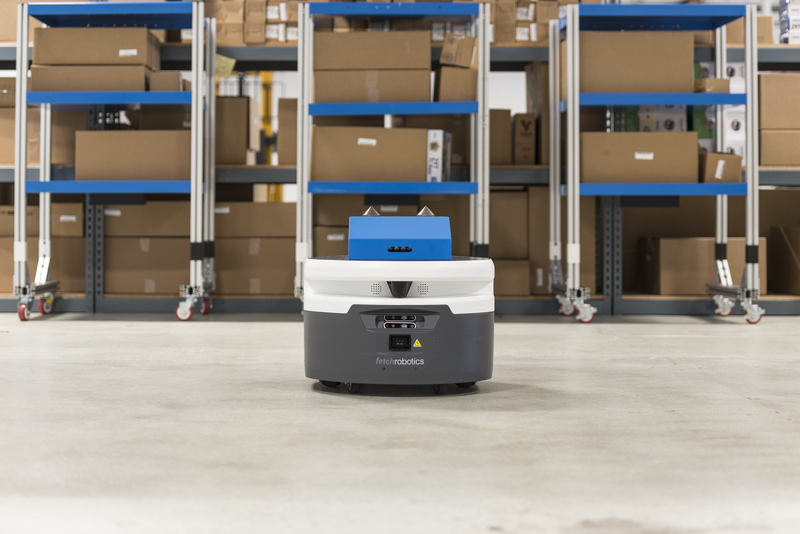 By most accounts, increasingly automated warehouses are undergoing a staffing crunch, and Fetch offers the promise of humans and robots working peacefully in tandem. 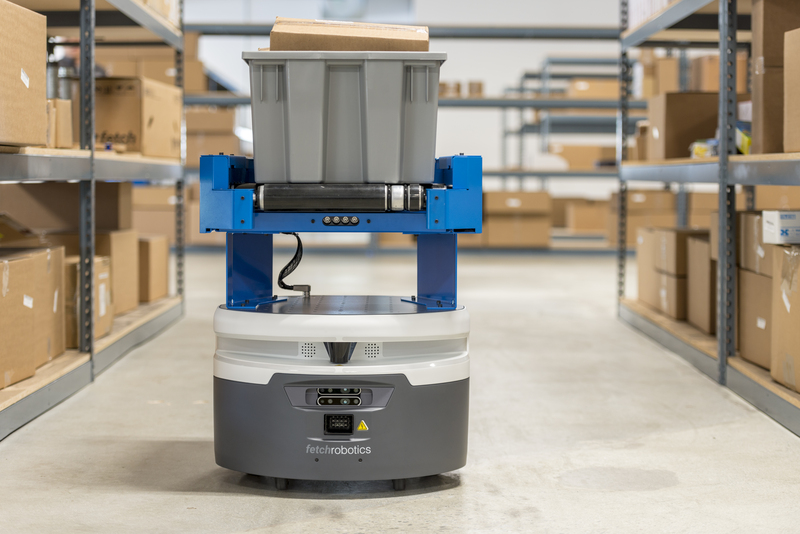 Today the company announced a pair of new robots designed remove some of the pain points from warehouse fulfillment. Both are modules that plug onto the top of the company’s VirtualConveyor robot — a kind of large, warehouse Roomba designed two autonomously navigate from point A to point B in a space, while avoiding collisions with people, aisles and dropped objects, in the process. RollerTop is, as you may have already guessed by the extremely straight-forward name, adds a series of rollers to the top of the robot. The rollers themselves are powered, so the robot can drive up to a conveyor belt, line itself up and send a box along for pickup. The other big addition here is CartConnect, a module with a pair of metal spikes capable of picking up and transporting carts around the warehouse. TechCrunch spent some time with CEO Melonee Wise earlier this week at the company’s recently opened San Jose headquarters. The exec told us that the modules represent a big piece of Fetch’s model, moving forward. The company likely won’t iterate too much on the actual robotic hardware base in the near term, instead focusing on these key accessories, along with software updates. The pieces do, however, point to a way forward for the system, which will be capable of a broad range of different tasks with the right add-ons in place. As companies like Amazon have completely shifted the expectation for warehouse logistics, many companies find themselves rushing the keep up. It’s clear, for example, why DHL has already made a point of deploying some of Fetch’s machines. The robots are certainly no nonsense and capable of repetitive and strenuous tasks that are putting a strain on factory workers.